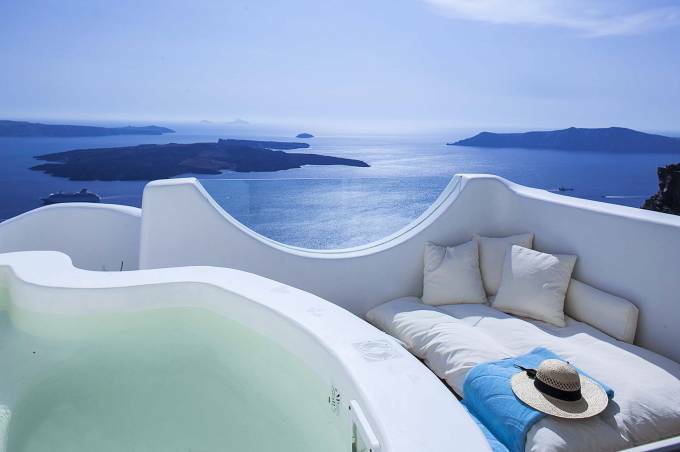 Crescent-shaped Santorini (or Thíra) is the precious gem of the Aegean. 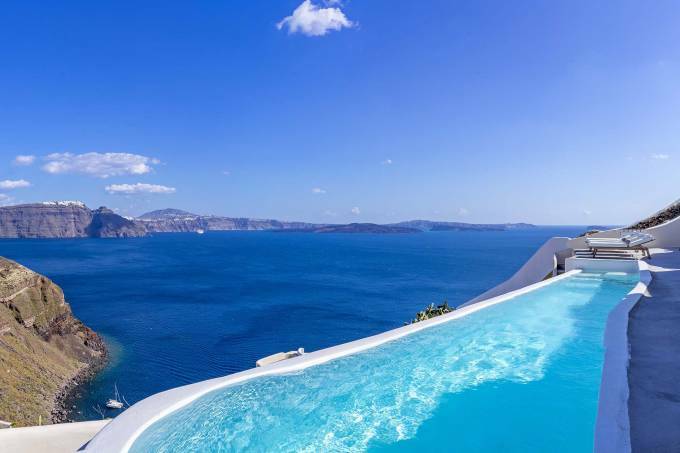 Did you know that the whole complex of Santorini islands is still an active volcano and probably the only volcano in the world whose crater is in the sea? 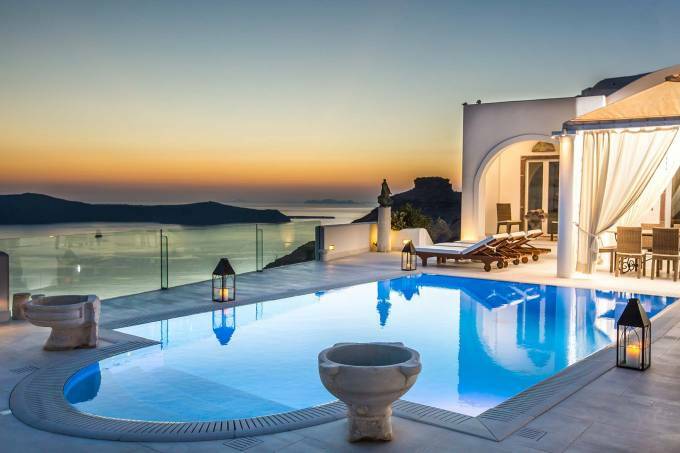 Blue Luxury Santorini villas offer the perfect setting for the trip of a lifetime, exclusive honeymoons and romantic escapes, family get-togethers, we have a perfect Santorini villas just for you. 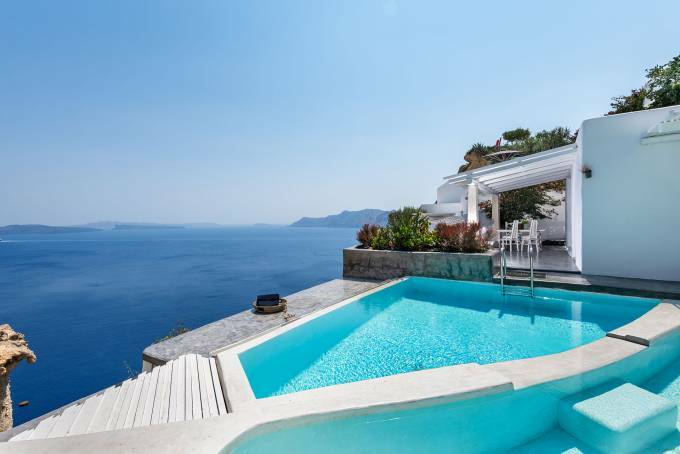 Is considered to be the most sought-after place for a romantic getaway in Greece, since there are not many places in the world where you can enjoy exquisitely clear waters while perched on the rim of a massive active volcano in the middle of the sea. Where to stay? 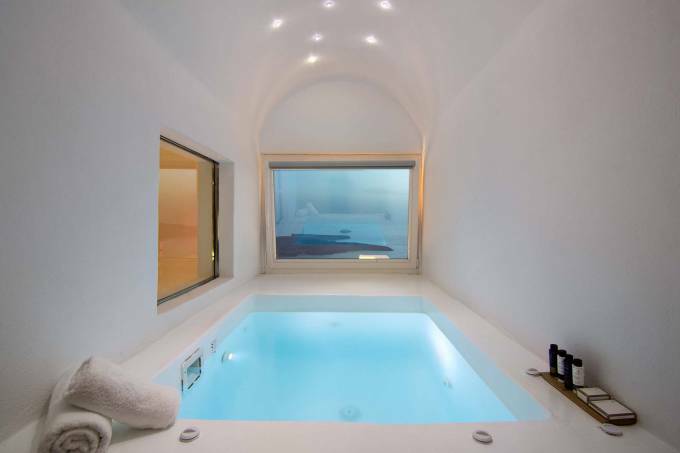 A Santorini villa from our luxury collection offers privacy, without sacrificing the comforts found in a five-star hotel. 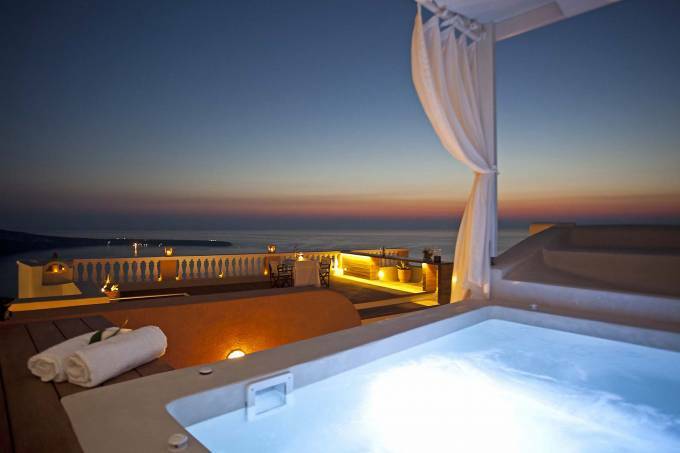 There are many breathtaking aspects to our Santorini villas Collection. 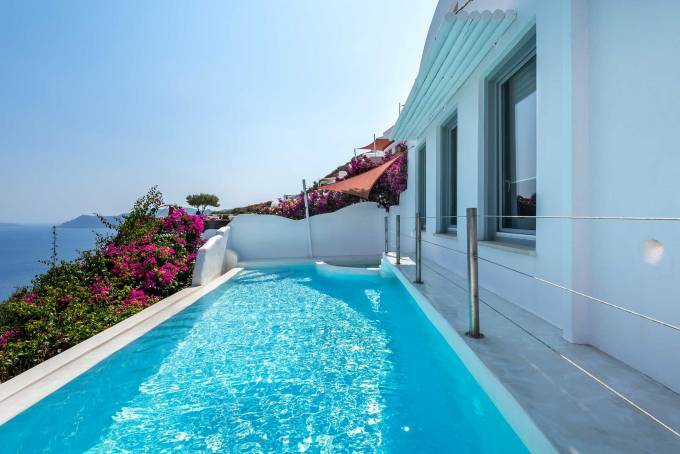 The architecture is stunning, the views out to the Aegean Sea magnificent, the outside areas spacious and diverse, and the inside finish to the highest standard! 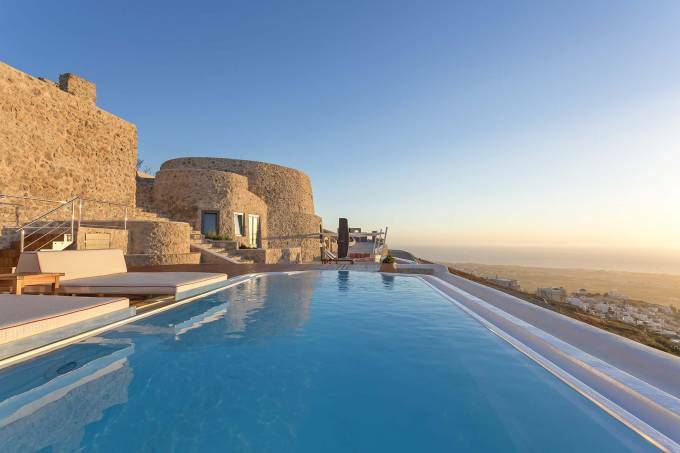 Prestigious guests are welcome to surrender to the pleasures of heavenly indulgence and unrivaled privacy while staying in the most luxury Santorini villas. 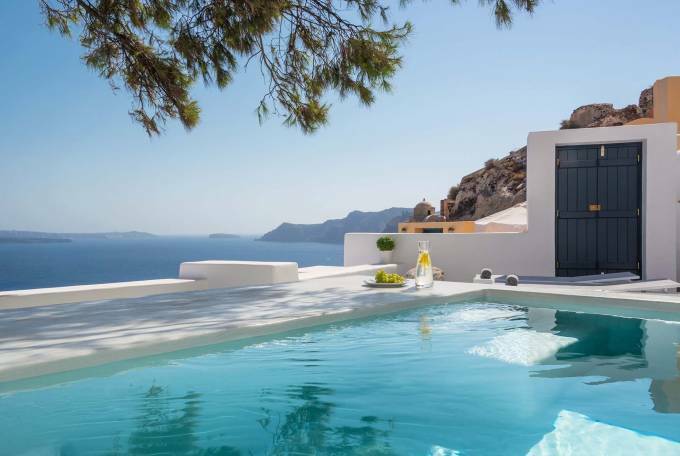 Idyllically situated, Blue Luxury villas in Santorini seem to reach for the sky whilst enjoying commanding panoramic vistas of the endless horizon and the enchanting Volcano. 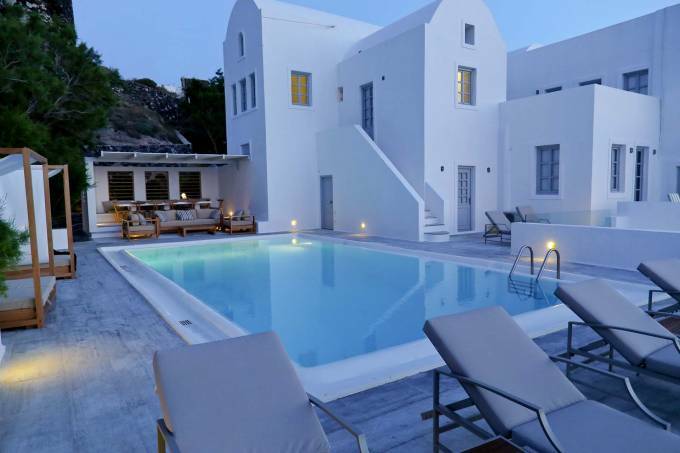 Santorini and Blue Collection Luxury villas are waiting for you! 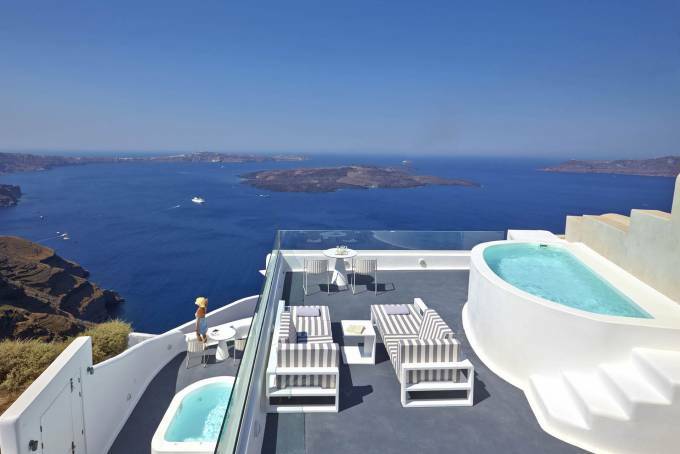 You can reach there by plane or by ship from Piraeus. Don’t think twice! 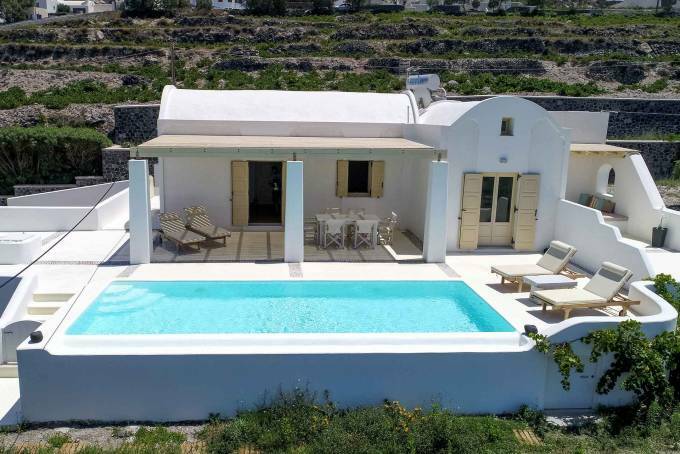 Living for few days in one of our villas in Santorini with friends and family will be truly a unique memory that you will all cherish for years to come! 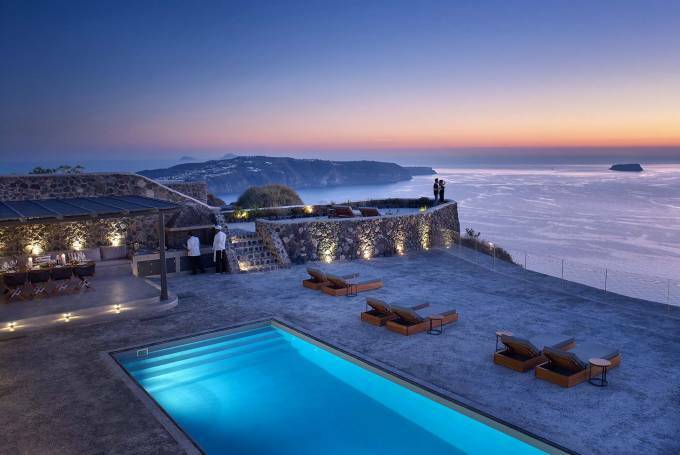 Not only will you grasp the true essence of Santorini but also you will taste top hospitality experts' services. 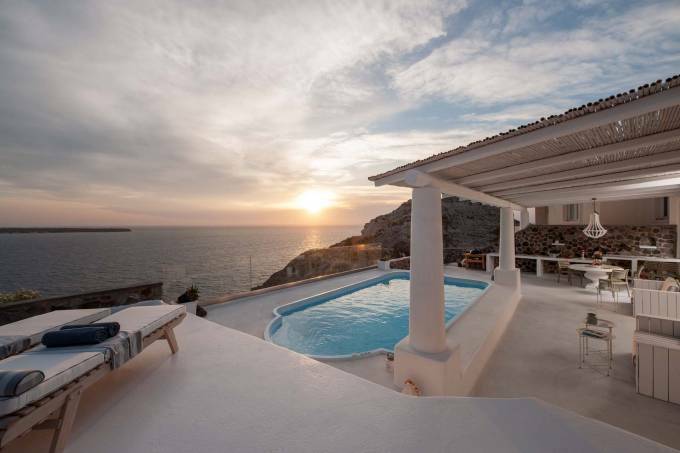 Experience for yourself the once-in-a-lifetime romance and charm of this pearl of the Aegean!